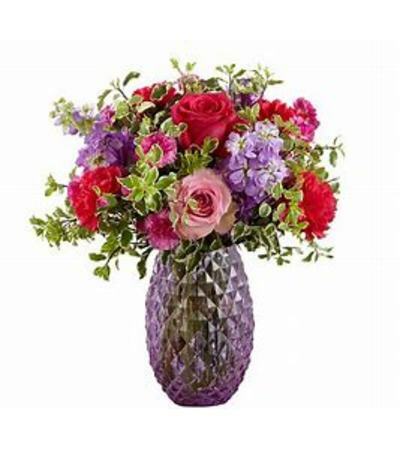 Spring is in the air and these gorgeous arrangements helps you embrace it. 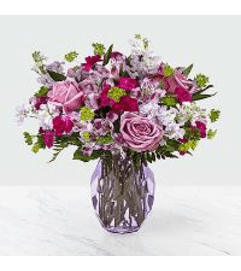 Set in a purple textured, diagonal-lined glass vase, and filled with hot pink and violet carnations, purple stock and roses. 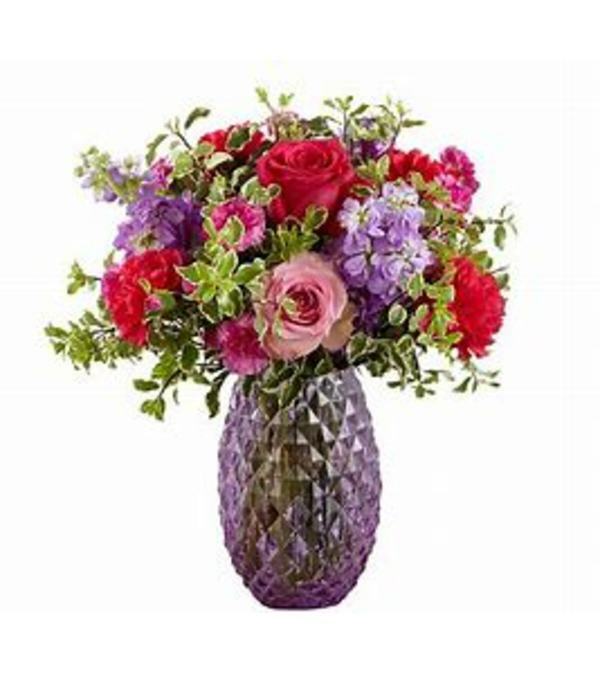 A beautiful way to show your love.